The Pressure Relief Damper KL-EM features a switching function. Independent of the range of volume flow of the outlet flow the damper blade gets fully opened when the opening pressure is exceeded. 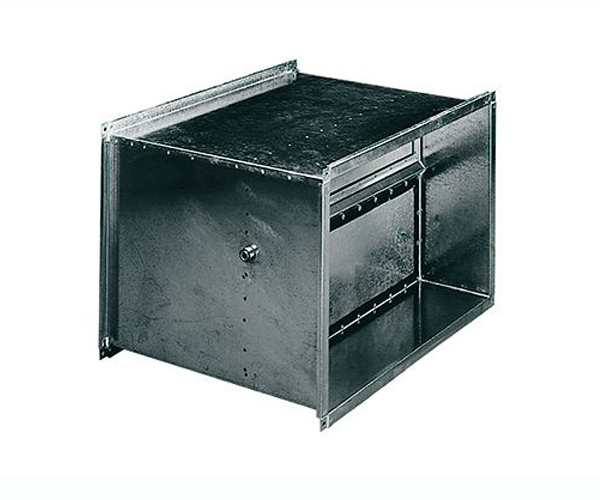 When the pressure in the ductwork falls below the opening pressure after the malfunction has been remedied, the damper normally remains open. In this state of operation the damper KL-EM must be closed manually, whereas it closes automatically when the flow is interrupted, e. g. by disabling of the fan. Despite its smaller outside dimensions type KL-EM is capable of removing flows at higher range of volume flow as compared with KL-E.